This list will be continually updated. Most of these books can be found in our book section listed alphabetically and available to order from Amazon.com. If you plan to order through Amazon we would appreciate your clicking on the Amazon links here as that will help us Insh’Allah earn enough to pay the expenses of maintaining this website. If you have recommendations, please send them along. 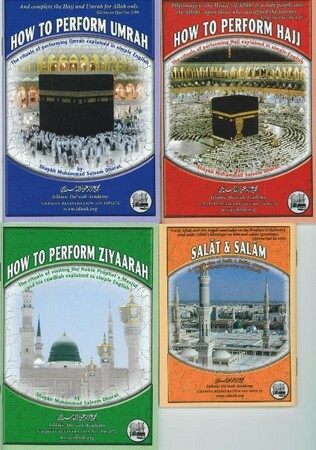 The link contains PDFs of 52 Urdu works of Allāmah Ashraf Ali al-Thanawi (ra). Most of them seem to be scans. This website of Jami`ah Ashrafia also contains some PDF scans of works written by Mawlana Abrar al-Haq Hardoi (ra). The Gazi Husrev-Beg Library in Sarajevo, Bosnia, houses various Islamic manuscripts including Qur’ānic mushafs, Hadīth manuscripts, works on Tafsīr, and more. The oldest manuscript is a copy of Imam al-Ghazali’s Ihya `Ulūm al-Dīn copied during the lifetime of the author himself.